Saginaw Bay and another windy and rainy week so few anglers were out. 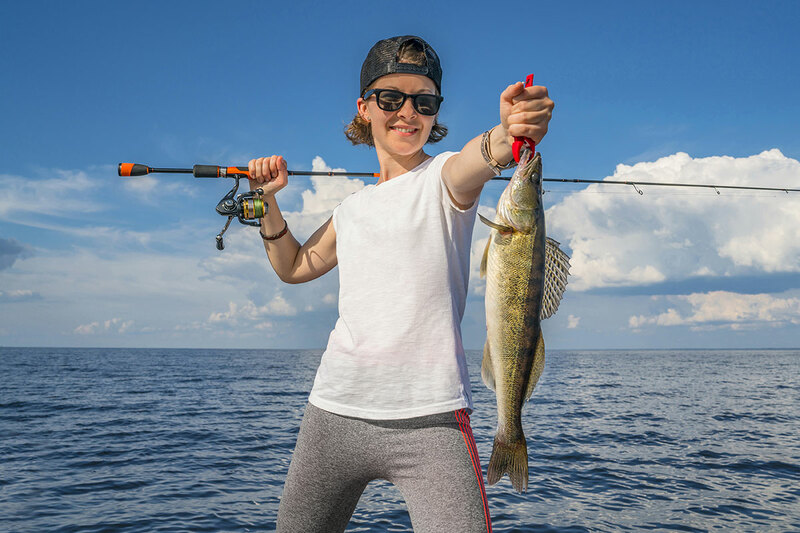 A couple perch were caught off the Saganing and Pinconning Bars as well as off the mouth of the Pine River in 10 to 15 feet. Off Linwood, perch were taken out in 17 feet. The fish were running 10-12 inches but no big numbers. Perch were also found near Sailboat Buoy F, northeast of Spoils Island in 15 feet and along the old shipping channel in 17 feet. The old shipping channel produced the best catches when boats could get out there. On the east side, a couple largemouth bass were caught close to shore. Shore anglers between Quanicassee and Bay Port caught some bluegills. 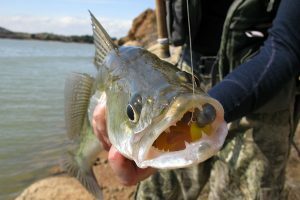 One walleye was taken in the marina at Sebewaing. Au Gres River had some reports of Chinook salmon jumping off the mouth of Whitney Drain at the Singing Bridge, but none were caught. Oscoda Area those trolling spoons and J-plugs off the mouth of the river had little success for salmon. Walleye up to 26 inches and a few pike were caught in the morning and evening by those casting crank baits from the pier. A couple good size smallmouth bass were also caught when still-fishing or jigging crawlers and minnows. Au Sable River a couple Atlantic salmon were caught between Foote Dam and the Whirlpool by those floating spawn, drifting and swinging egg and streamer flies through the holes or fishing behind the gravel. Smallmouth bass have been caught. 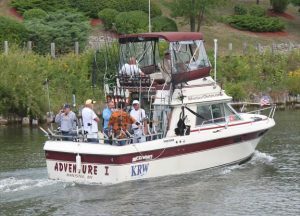 Port Austin Area fishing was almost non-existent and the few boats that did go out got skunked. Windy conditions had the thermocline all over the place. Minnows are just starting to come into the harbor. Tawas Area had a lot of minnows inside the harbor at Tawas Bay but anglers caught very little. Chinook salmon were jumping both inside and outside the harbor as well as off the mouth of the river, but none were caught. 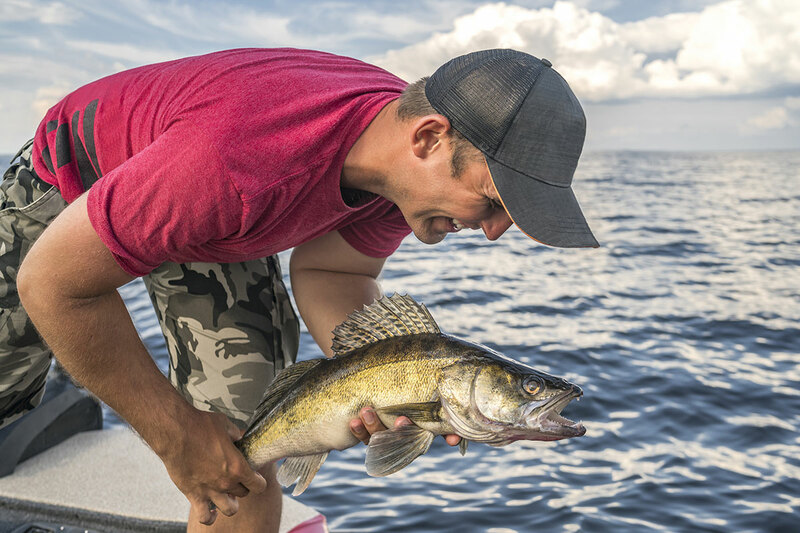 A couple walleye were taken off the breakwall at night when casting body baits. Tawas River a couple pike and smallmouth bass were caught in the river and off the mouth by shore anglers casting various lures. 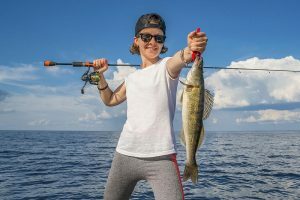 These fish often stay in deeper water longer than other panfish – and they also tend to move around more as they target large schools of baitfish. If you use baits that imitate a crappie’s food of choice you’ll be more likely to find them. Keep in mind that crappies will get less and less active as the water cools off and they slow down. You’ll then want to slow your presentation and offer smaller baits to keep seeing success. 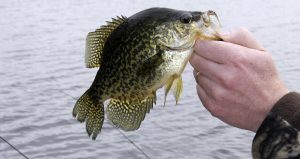 Try your luck at some great crappie fishing this fall. Click Here for more information on this species.